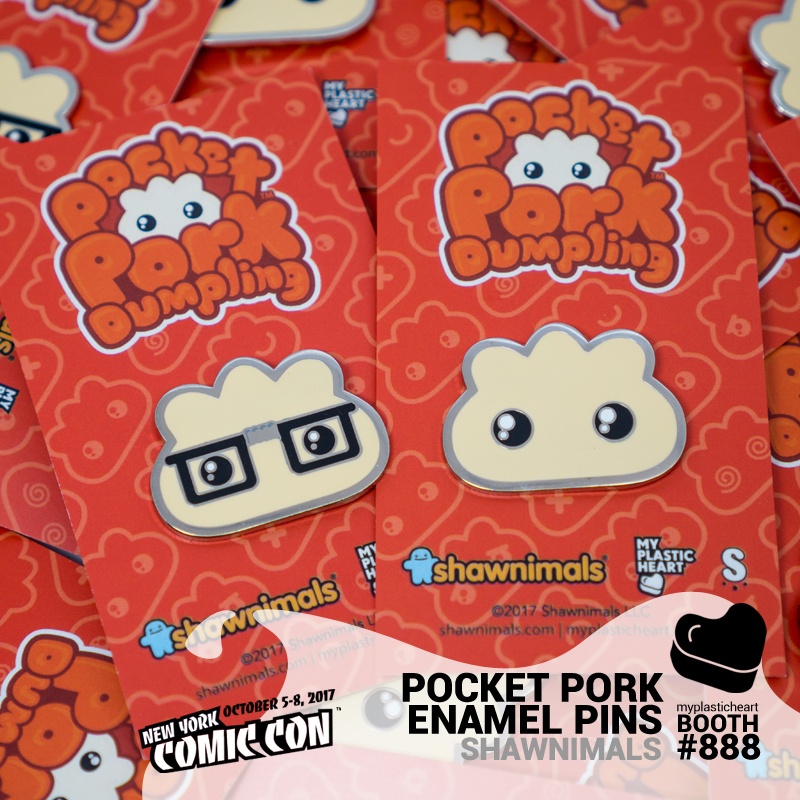 To fill up your Dumpling quota we’ll be releasing these two Shawnimals Pocket Pork Dumpling enamel pins at NYCC! Pick one up at the myplasticheart booth #888 and show us whether you are team OG or team Dorkling! Pocket Pork Dumpling Enamel Pins will be available for $10 each at the myplasticheart booth #888 during New York Comic Con.